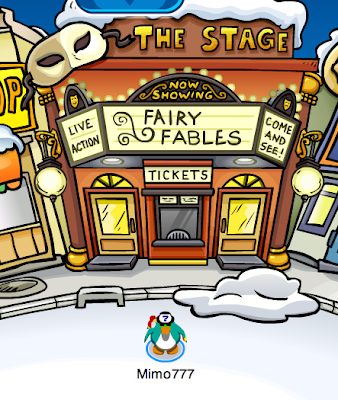 Club Penguin Cheats by Mimo777 Club Penguin Cheats by Mimo777: Club Penguin's Fairy Fables Returns To Stage! Step 1. Click on page 1. Step 2. Click on the radio. 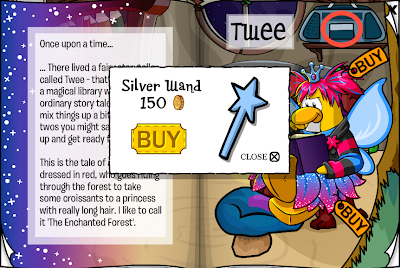 You now have the Silver Wand cheat! Wha? No more cheats! Bummer! 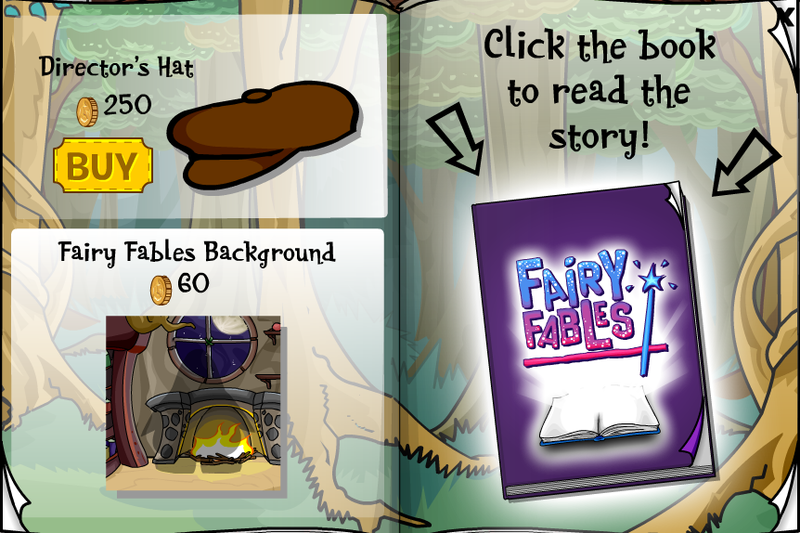 But, there is the book to click on and read the Fairy Fables story. You can find the book above the Costume Catalog or INSIDE the catalog! Are you glad this winning play is back? Or, is it still too girly for ya? The sheep outfit is EPIC. Even though it's old, new penguins have to know about it eh? 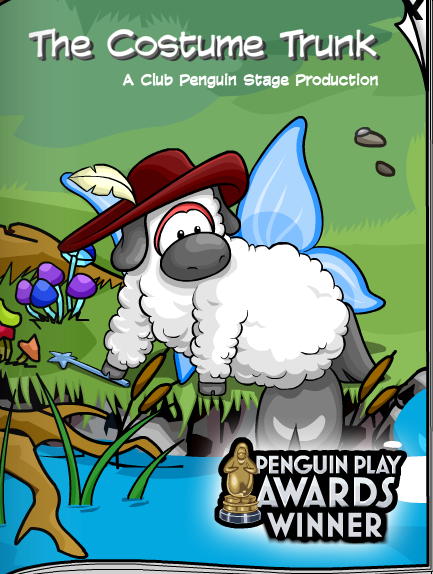 I really Like this play but I didnt vote for it! HEY! You can't get Twee's wings or the Red Cape! Add that on there. hey how come the red cape is unavailable? why in pictures are u always the only one in them ur really famouse so thats like impossible. Maybe some older penguins want new plays? And newer pengs want to see also new plays, i think... But beta test hat should return, new pengs wants them, i am pretty sure about this ;) Even costumes are same... and background. Nice suggestion, thanks for the advice. Awww, come on. The fair was pretty fun! We had the funny viking hat like the water buffalo hat in the flintstones! That was soo cool! heymimmo, why does the poll never add up to 100%? This one adds up to 97%!!! And yes, way to GIRLY and OLD!!!!! Only one cheat what's up with that?!!?!?!!! hey mimo, i was wondering, if you could asked billybob if it will be okay to seel some unimportant items? i know its out of topic but i don't know where to put it... what do you think of the idea? being able to seel stuff we don't use anymore.. like backgrounds, clothes etc. ? Its not old it only came out this year. But every time a play comes out for a second or third or fourth time they should add new lines, sets or costumes, don't ya think? Thats true. they did that with shadow guy and gamma girl play.